Knightcraft Technology is the leading provider of security and PCI DSS compliance services for the HPE NonStop Server platform. We provide specialist services to a range of organisations in many countries, independent of geographic location. We have also co-authored (with a QSA) the definitive technical white paper for PCI DSS compliance on the HPE NonStop platform. Knightcraft services can be procured either directly from us or from either of our service partners, HPE and comForte. With practical expertise on PCI DSS, HPE NonStop security subsystems and software products such as those from comForte and XYGATE software (from XYPRO Technology), we can assist you in meeting your company security and compliance obligations. Knightcraft has already assisted companies from USA to Japan to the UK to Singapore in achieving their HPE NonStop security and PCI DSS compliance needs. Click here to see how we can help your organisation too. 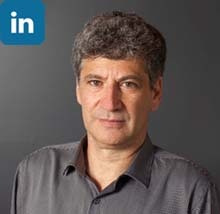 Initially working for Tandem Computers in Australia, Knightcraft owner and principal consultant Greg Swedosh has been working with the HPE NonStop platform since 1985. During this time he has become renowned as a leader in the security and compliance field. Greg presents regularly at international conferences and has assisted companies across the globe with their security and compliance needs. He is a contributing author of the book Securing HP NonStop Servers in an Open Systems World and is the primary author of the PCI DSS Compliance For HPE NonStop Servers technical white paper. As principal consultant, Greg oversees all Knightcraft projects.